1. The Top Shelf image (1920 x 720px, single or multi-layered) is shown when the user puts your app in the top row of their Apple TV home screen (the large, image shown at the top of the above image). 2. The Small Icon (400 x 240px, layered image), , which used on the Apple TV home screen (the smaller icon shown at the bottom of the above image). 3. The Large Icon (1280 x 769px, layered image), which is used in the App Store. Layered images must contain from 2 to 5 layers. The layers are used to give the image a parallax effect when viewed on Apple TV. I'll skip instructions for Photoshop, but you an read more about it at this link: https://developer.apple.com/tvos/human-interface-guidelines/icons-and-images/. Unfortunately, dragging and dropping images directly into Xcode doesn't seem to work reliably at this time, so I'll focus on using Apple's Parallax Previewer. The Parallax Previewer is shown in Figure 1. You can download Apple's Parallax Previewer at this link: https://developer.apple.com/tvos/download/. Basically, you add a different PNG or JPG file for each layer you want to add to your icon. You can rearrange and resize these layer images and the Parallax Previewer will create a layered image (.lsr file) for you, which you can import into Xcode. 1. Click the plus (+) button at the bottom-left corner of the screen, and select the files you want to add. This adds the images to the left pane of the Parallax Previewer screen. 2. Drag the files in the left pane in the order in which the layers should appear (the image at the top will be the image in the front layer, the second image will be in the second layer, and so on). 3. Select File > Export > LSR... from the Parallax Previewer menu. 4. Select the folder where you want to store the .LSR output file. 5. Drag the .LSR file into your Apple TV project's Assets.xcassets file. 6. In Xcode, drag the individual layers from the .LSR file and into the App Icon (Large or Small) section. 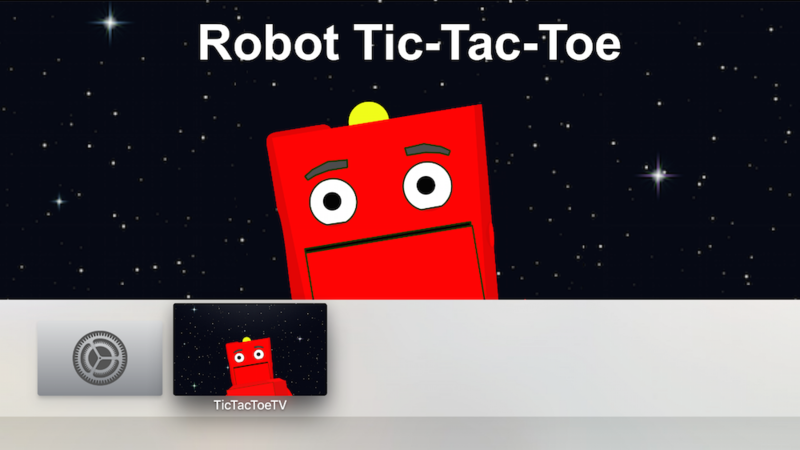 You should now be able to run your tvOS app in the Apple TV Simulator and see your icons and Top Shelf image! Would you maybe know where those full-width images come from? I suspect the App Store has stored additional promo imagery for these apps.